An appeal to all Armenians across the world from the Armenians in Kessab. On Mother՛s Day, March 21-2014, our beautiful town was brutally attacked by Al-Qaeda extremists And Al Nusra front that is linked to Al Qaeda. with the blessings and full military and logistical support of the Turkish government. Before sunrise, we woke up to the horror of a shower of missiles and rockets falling on our town. Thousands of extremists crossed the borders towards our town. Missiles were fired from Turkey, to destroy beautiful Kessab and to celebrate the approach of the 100th anniversary of the Armenian genocide. Kesabtsi heroes defended the town with their simple hunting weapons until more forces from the Syrian government came to fight back the horrific attack on our town. If Kessabtsis were not informed to leave their houses by those heroes, the world would have silently witnessed yet another genocide and stood by while the media gave them yet another version of lies. Kessab has always been home to thousands of Armenians for centuries. The first agonizing tragedy in Kesab happened in April 1909, when a rabble of thousands of Turkish men attacked Kessab, robbing and burning houses. 161 Armenians were killed in this brutal attack. In 1915, during the Armenian genocide, Turkish troops came into Kessab and started deporting Armenians and killed almost 5000 Armenian people from Kessab. The Armenian genocide at the hands of the Turks in 1915 took the lives of One and a half million Armenians. More Armenians are getting killed and will get killed in Syria if nothing is done. The Arabs in Syria took us in then, took care of us, helped us back on our feet and helped us survive through that horrible memory of death and destruction and we will be eternally grateful to them. Since then we lived in peace and harmony with other sects, like a huge family in a home called Syria. Today, we need help once again, because Sadly the Turkish government dared to attack Armenians one more time ignoring the Armenian case. With this act Turkey has refused, yet again, to recognize the Armenian genocide at the hands of the Turks and is assisting in the murder of more Armenians in Syria. We have nothing against the Turkish people. We have lived as neighbors with them and want to continue to live as neighbors with them. 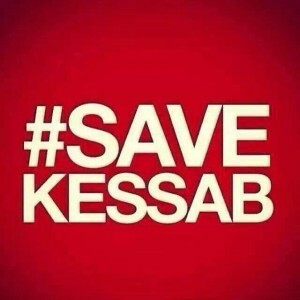 It is the Turkish government, supporting and facilitating the murder of Kessabtsis by terrorists, that we plea against. We just want our town back, or what՛s remained of it. Because there are a lot of videos on youtube that shows how those extremists are destroying and burning our beautiful town. All Syria knows wherever those extremists get in, only death and destruction is left behind. Our homes have been taken from us, centuries of our heritage has been destroyed. This is a call to all Armenians. This is a call to humanity. The world needs to hear the truth. Erdogan and his government are war criminals. We need your help. We need you to take action. Our lives hang in the chance that you will do something to make sure we too don՛t die. We were forced out of our homes and our town with nothing but the clothes we wear. If we stayed to gather even the bare necessities, we would have definitely died. Most of us cannot even escape because we don՛t have our passports or documents of identification. Please, invoke the intervention of your governments, of the UN, of any other authority that you believe can help us. All we want to do, is live. If you ignore this, we all will die a horrible death at the hands of these terrorists, by being butchered in cold blood like many other Armenians in Aleppo, Yacoubiyeh, Ghenemiyeh, and around Syria. Those who you call rebels are extremists who came to Syria for jihad with many nationalities in it like Afghans, Chechen, Saudis etc. Kessabtsis and all of Syria, saw them and were attacked and killed by them. The media can՛t hide the truth forever. You can՛t manipulate the lives of people forever. Those who you call rebels, were targeting and attacking civilians. Wake up, please. Don՛t you think enough innocent blood has been split? Don՛t you think enough destruction has been done? We all lived peacefully and happily just three years ago. This is not a revolution, this is war. And the Syrian army is now in Kessab fighting to make sure Armenians will go back to their homes safely. P.S. : This letter has been written by Kessabtsis being given refuge by the Armenian Church in Lattakia. Ещё по теме хочу поделиться ссылкой на петицию на сайте Белого Дома.